What is the capacity of your venues? 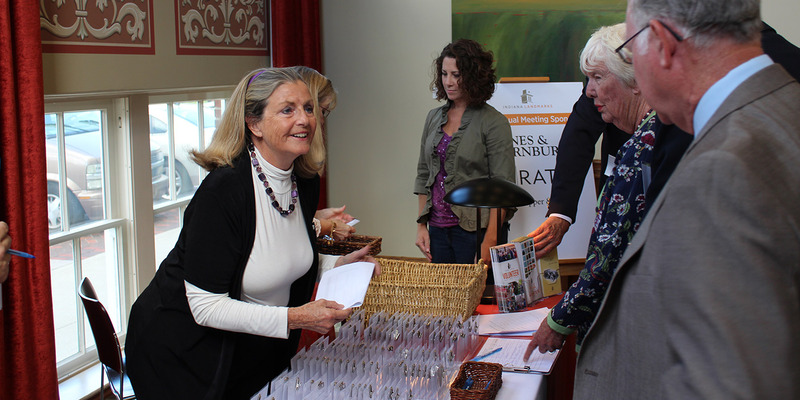 Capacities in venues in Morris-Butler House and Indiana Landmarks Center range from 30 to 550. See details here. Indiana Landmarks Center is accessible, except for the mezzanine in the Grand Hall. All rentable areas of the Morris-Butler House are accessible. Does the campus have on site parking? A separate parking lot at Morris-Butler House has 17 spaces. Does the space rental fee include the cost of tables and chairs? No. You should rely on the caterer you choose from our approved list to arrange for tables and chairs. We do store tables and chairs on site, eliminating the additional delivery cost of a third-party vendor. We do not allow open flames, sparklers or other pyrotechnic displays, fog and smoke machines, and anything that may be detrimental to the integrity of the buildings. Since both buildings are historic, decorations must be approved by the Events Department to ensure they will not jeopardize the buildings and restored surfaces. Can I use any caterer I choose? While we respect relationships you have with a specific caterer, our rental clients must use one of our five approved caterers, among the finest in the city. Can I use my own vendors for flowers, band, DJ, and wedding cake? When can I schedule my wedding ceremony rehearsal? Is there an additional fee for this? We suggest you schedule your rehearsal at the same time you schedule your wedding or event. The calendar fills up fast, and we want to ensure that you have your preferred rehearsal time. The cost of the rehearsal is included in the ceremony fee. 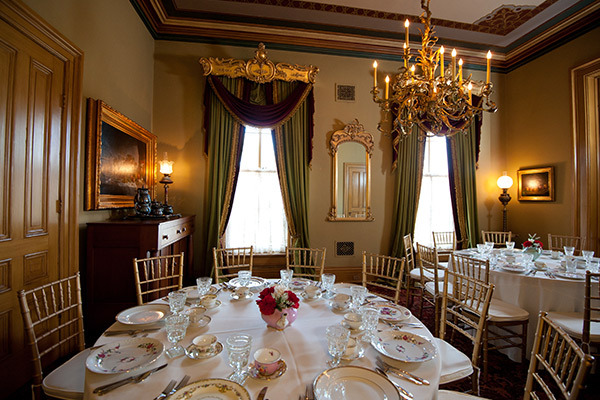 Can I have my rehearsal dinner at Indiana Landmarks Center or Morris-Butler House? Yes. 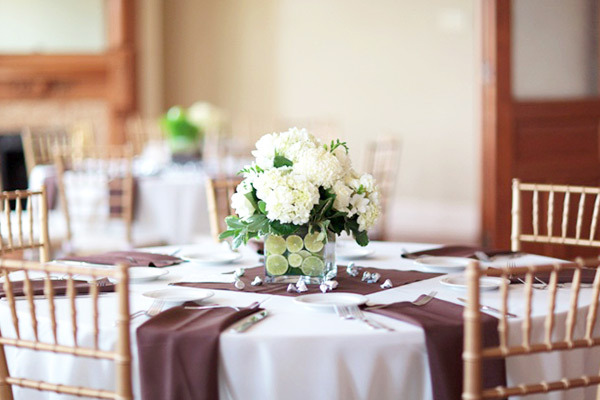 Both venues have rental venues suitable for rehearsal dinners. Do you have space available for a cocktail reception prior to dinner? Yes. 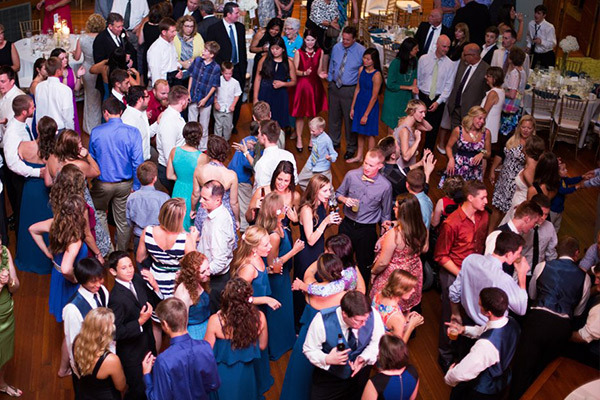 Depending on the size of your party and the date of your event, we can offer a few options: at the Indiana Landmarks Center, you might consider the lobby, outdoor courtyard (usually used in conjunction with the lobby), the Rapp Family Gallery, and the mezzanine of Cook Theater. At Morris-Butler House, the main parlor, dining room, and library are options. We do not. Our approved caterers are licensed to provide alcoholic beverage service. Can I leave items at the venue the day before my event? Depending upon available space and other scheduled events, we may or may not be able to accommodate such requests. Indiana Landmarks and Morris-Butler House do not accept liability for these items. Do you have rooms for the bridal party or performers to use? 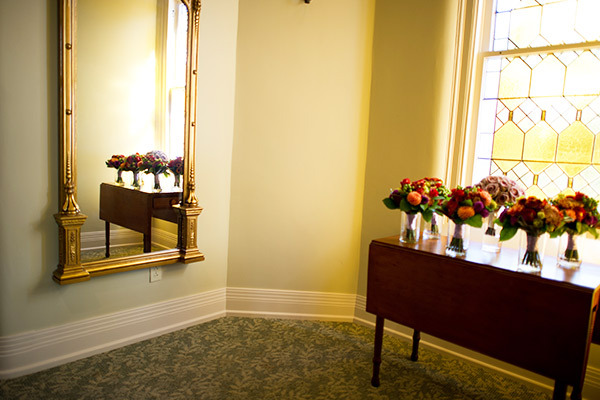 At Indiana Landmarks Center, we have dressing rooms, as well as the bride’s and groom’s rooms, and a green room. At the Morris-Butler House, rooms are available on the second floor for bridal parties. Do you have a wedding coordinator on site? We do not provide wedding planning services. While we will work closely with you and your vendors to coordinate the execution of your event, we do not help plan your event. Our Events Department makes sure the facility is in perfect working condition and a staff member will be on site for your event. How long before the event’s start time can we have access to the building? The building is made available two hours prior to the start time of your event. For weddings, you have access to the building three hours prior to the start time of your event. Do I need to pay the photo session fee if I have an event photographer? No. We charge a photo session fee only for clients requesting to schedule a photo shoot that is unattached to a rental event. However, you will need to pay this fee if you have a photo session in the building on a day separate from your event. No, but we can refer you to transportation service vendors. Do you have a kitchen on site? 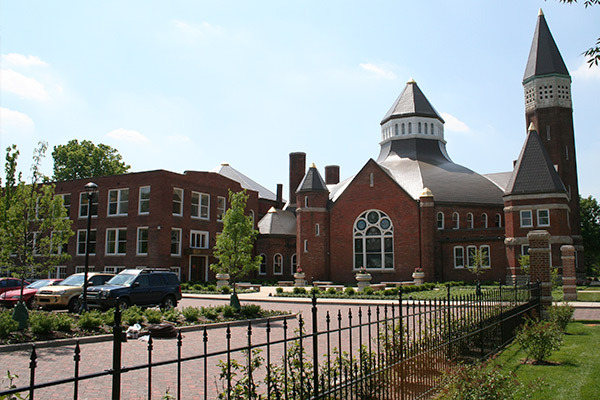 At Indiana Landmarks Center, a full service kitchen and two serving kitchens serve the rental venue. The kitchens are connected via a service elevator with an exterior load-in entrance. These kitchens are for use only by our approved caterers. At Morris-Butler House, a full service kitchen on the lower level is available for use by our approved caterers for your event. Are there food and beverage minimums for certain days of the week? Why do I need a security guard on site for my event? Although the neighborhood is safe, the security guard patrols the parking lots and the grounds around the buildings for the protection of your guests and their vehicles. Why do I need to have liability insurance for my event? This protects you, the event host, and Indiana Landmarks from liability resulting from your event and your guests. Indiana Landmarks and your caterer also carry liability insurance. You may obtain a certificate of liability insurance by contacting your homeowners’ insurance agent or by purchasing a one-time “special event” policy. 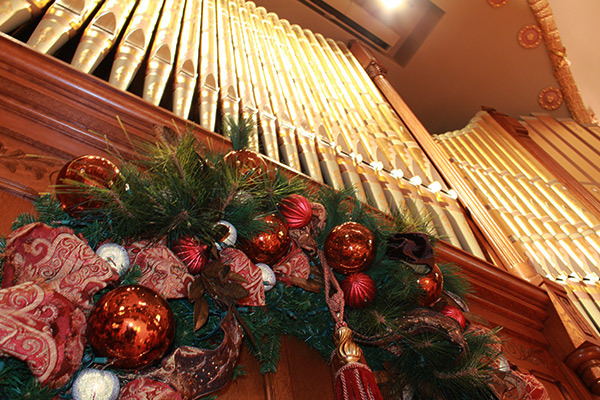 Yes, holiday decorations are installed throughout the interior and exterior of Indiana Landmarks Center and Morris-Butler House during the week prior to Thanksgiving and remain through the first of January. No holiday décor can be removed during this period.